Take advantage of all of the great wellness services that are provided for you right here at ARUP. ARUP’s health and wellness department strives to support both you and your family members’ personal wellbeing, through offering a variety of resources designed to help you reach a more optimal level of health. We believe that optimal health can be found and maintained as focus is placed on making small, consistent improvements within one or more of the pillars of wellness: mindset, nutrition, movement, and recovery. March Wellness: Join us this year in the March Wellness Challenge! Each day in the month of March there will be a small, healthy behavior that you will be challenged to complete! Let’s make March our healthiest month yet! A wellness coach is someone that can help you overcome barriers to living the lifestyle you desire. Achieving a healthy lifestyle is more than just a physical endeavor; it takes balance in all areas of life such as occupational, emotional, spiritual, physical, and social. Together with your coach, you will address the areas you feel need improvement for your personal well being and make an action plan to get there. Your coach provides support, is an accountability partner, a resource, a cheerleader, and much more. Through regular meetings, you and your coach will work together to create realistic and lasting goals. All of our coaches have degrees related to exercise science and are certified nutrition coaches through Precision Nutrition. Email wellness@aruplab.com to set up an appointment. We also can do virtual visits for those who are not onsite at ARUP. Unsure of what to eat to get the results you want? Are you sick of starting and stopping fad diets? Set up an appointment with the wellness staff to have your diet assessed, learn about dietary changes, and how to keep it consistent! Wellness has men's and women's locker rooms with three separate shower and changing rooms in each. Separate day lockers and cubbies are also available. Refrain from ingesting food, alcohol, caffeine, or from using tobacco products within three hours of testing. Be rested and avoid significant exertion or exercise on the day of the assessment. Your clothing should permit freedom of movement and include walking or running shoes. You should also wear shorts or some kind of pants that allow you to pull the pant leg up past mid-thigh, as that is one of the areas that is measured with the calipers for body fat percentage. Drink ample fluids over the 24-hour period preceding the test to ensure normal hydration before testing. Plan on 30 to 45 minutes if you want to go through the full assessment. In order to make an appointment for a fitness assessment call us at extension 2824 or email us at wellness@aruplab.com. Feel like you need to make some improvements with your activity level but aren't quite sure of what to do? The wellness providers can help you get a customized fitness plan that is specific to your needs and wants. Could you use a relaxing break? Take advantage of our massage therapist for a 15 min appointment. The wellness center is equipped with a demo kitchen to help you learn the skills necessary for healthy eating! Intuitive eating: Are you ready to leave behind the endless cycle of yo-yo dieting that continues to leave you feeling discouraged about your health and your body? Do you want to rediscover the pleasures of eating, or maybe develop a healthy relationship with food for the first time? This 8-week Intuitive eating course will help you improve in each of these areas and more. Diabetes prevention program: The Diabetes prevention program here at ARUP has been accredited through the CDC and is designed to help you prevent developing diabetes. Anyone with a A1C reading between 5.7%-6.4% is invited to participate. This year long course follows a curriculum (designed by the CDC) to help you change your habits and behaviors and reduce your risk of diabetes. Spring into weight loss: Are you ever confused by all the weight loss myths that you hear and don't know how to get started? Jumpstart your weight loss with this 5 week course to learn the ins and outs of nutrition, strength training, and cardio for effective, sustainable weight loss. Learn all about the four pillars of overall health and fitness on your own time and at your own pace. The wellness staff has put together simple education that you can read and begin implementing into your lifestyle today. Simply click on the picture below and start learning the simple habits you can infuse into your daily routine to improve your health. Visit your future. What does that mean? Take some time to think about what you want with your health and why. Ask the hard questions: "where do I see myself in a year from now with my health? If I don't change now, what will happen?" These can be tough to answer but they'll help you see a clearer vision on your future health. DON'T START ALL IN. Take a second and determine what you can consistently do week by week to make it a habit. Be 1% better at a time, not 100% at once. This will help you progress and implement simple habits and when one is consistent, add something else. Check in. Make yourself accountable to check in. Set them up and have personal interviews. "Did I put 100% effort into my goals, if not, what can I change?" Staying accountable to yourself can help you reach your goals. Personal integrity. This might be the Most important step in mindset. It's easy to lie to ourselves and justify why we didn't do something and use excuse after excuse- but does that get us to accomplish our goals? Definitely not. Stay honest, show integrity by following through with the goals you set and if you just can't do that particular goal- it may not be the best goal to do at that time. Find one that fits into your life and show integrity to accomplish it! When trying to live a healthy life nutrition has to be part of the conversation. It is the foundation of a healthy lifestyle. There are so many different topics that can be discussed about nutrition but we will give you two that we think can set you up for a lifetime of success. The easiest way to identify if you are eating good quality food is to ask yourself one question. "Did man make this food or did the earth make this food?" If this is still confusing about where to get good quality food then just shop the perimeter of the grocery store and try to avoid the aisles. Doing this you will end up with some pretty good quality foods. The amount of food that we eat has increased greatly as the years have passed. A good example is the size of a dinner plate. It has doubled in size in the last couple of decades meaning our food has at least doubled as well. When trying to eat the right amount of food you can do a couple of different things. You can measure out the amount of food your body needs using hand portions, or you can learn to listen to your body. Listening to your body: The best way to start training yourself to do this is to start building two habits. The first one is to take 20-30 minutes to eat your meals. Research shows that your body is not able to processes fullness until that time. So slow down! The second thing is to eat until you are about 80% full. This requires being mindful of how full you are as you are eating. So turn off your phones, the tv, and any other distractions and focus on how you feel while eating! Hand Portions: We provided a quick and simple guide to use your hand to know how much food you need. As you use this adjust according to your hunger. You should feel satisfied after eating each meal. From time to time, you may have said to yourself, or at least heard someone else say, “My metabolism just isn’t what it used to be,” often blaming age as the culprit. Unfortunately, the sedentary lifestyle that is so prevalent in today’s society helps feed into the conditioned response that these negative changes to metabolism, along with decreases in muscle strength, endurance, and flexibility, are an inescapable part of the natural aging process. Physical activity accounts for a significant portion of our body’s metabolism. Thankfully, you have total control over the amount of physical activity you include in your routine, ultimately helping to maintain or even increase your metabolism no matter your chronological age. There are two main categories of movement: non-exercise movement (NEAT) and formal exercise. Both are important in achieving and maintaining optimal health. It is easy for exercise, or any type of movement for that matter, to get pushed to the bottom of a daily to-do list, whether it be because of a busy schedule or because you feel nervous about starting to add regular exercise back into your life. So…how and when can you include movement in your day, without letting it get pushed to the bottom of that to-do list? The first thing you can start with is simply being more proactive about noticing pre-existing chances to move throughout your day. Be creative and do what you can on a daily basis, from anything as quick as a few standing calf raises while waiting in a line, to taking a quick walk while you make a phone call. Any amount of time spent moving and any type of activity has a positive impact on your body. As you get started, you may need to expand your definition of what physical activity can be, to make it less restrictive. As you start developing the habit of daily movement, consider establishing the habit of setting aside time for formal exercise each week. The American Heart Association recommends completing at least 30 minutes of moderate intensity exercise on five days of the week for overall cardiovascular health. It is most important that you choose an activity that you enjoy doing, which looks a little different for every individual. Walking is one of the most accessible forms of moderate intensity exercise. It does not require equipment, and you can walk through the building, outside, or on one of the treadmills in the wellness center. If you set a goal to exercise for 30 minutes daily, those 30 minutes can even be broken up into 5- or 10-minute chunks throughout the day. If you struggle to find time before or after work for exercise, completing shorter chunks of activity can make it more manageable to include as part of your workday. We love to welcome new faces in our 15-minute exercise classes held throughout the day in the wellness center. These classes cover a variety of different types of exercise, so it is the perfect opportunity to try a new type of movement in a comfortable environment. Find our current class schedule October-December 2018. At the end of the day, our bodies are meant to move. By infusing a little more movement into your day, you can take control now over your metabolism, energy level, and how you feel overall on a daily basis. Although recovery covers a wide range of topics and behaviors, we are going to simplify it into two main categories today: stress management and sleep hygiene. The goal of this short article is to give you quick and easy actionable steps that you can start implementing in your life. Now don’t try and do them all at once. Pick one tip at a time and spend a week or two practicing it until you feel like it’s becoming second nature. Once this is accomplished it’s time to move onto another behavior. So without further ado let’s get into the list! No complaining—Any time you start a complaint, whether it’s out loud or in your head, replace it with a statement of gratitude or thankfulness. Movement—Our bodies physically manifest our stress so get out and get moving so that stress can be released. Something as simple as walking goes a long way! Capture your thoughts—Have you ever been distracted because you have too many things going on at once? When your head is full record those random thoughts onto paper or in your phone/computer as a way of clearing your mind and releasing stress. Once it’s written down you will be able to return to it whenever you have time, instead of worrying about it all day. Laugh more—When we laugh it makes us feel good. So find more healthy excuses to laugh and have more fun. You are not your emotions —>You feel and experience emotions, but you are separate from these experiences. Just because a certain event causes you to feel a negative emotion, does not mean that you can’t choose to change your response once you realize what is happening. Separate yourself from you automatic emotional responses and choose a less stressful more relaxed response to tough circumstances. Remember often: life’s too short to feel like crap!—You only get a handful of days on this earth, so make them count! Don’t waste your days feeling down in the dumps and stressing about things that don’t matter. Make the time: at least 7 Hours—Most of us need anywhere from 7 to 10 hours of sleep a night for optimal rest. Experiment with different times and see which one makes you feel the best. If you truly believe you don’t have time to sleep at least 7 hours, then try some of the other habits below to optimize what little time you do have to sleep. Keep it cool: 60 – 70 Degrees—When you’re not constantly re-adjusting your blankets in an attempt to properly regulate your body temperature all night you will get more restful sleep. Limit screen time—The blue light from our electronic screens signals to our brains that the sun is out. This can mess with our sleep hormones making it difficult to fall asleep and also achieve deep sleep. So get off the screens ideally 2 hours before bed, but at least 30 minutes before bed. If you simply cannot resist the screens then download an app that filters blue light once the sun goes down. Limit ambient light—Even the smallest amount of light in the bedroom or entering the bedroom from outside can prevent you from achieving deep sleep cycles. If total darkness is an issue for you then look for night lights with special bulbs that won’t disrupt your sleep cycles. Get comfortable: When was the last time you bought sheets, a pillow or a mattress?—Having comfortable bedding can make a huge difference in the quality of your sleep. You spend a large portion of your life in bed sleeping, so don’t be cheap! ARUP employees can take advantage of discounted prices/memberships at various gyms throughout the valley. Additional family members from the same home (up to 21 years old) are only $25. Monday - Friday 5:00 a.m. to 11:00 p.m.
Monday - Thursday 5:00 a.m. to 11:00 p.m.
Friday 5:00 a.m. to 9:00 p.m.
Saturday 7:00 a.m. to 8:00 p.m. Contact Jean to to register for classes. It is a national initiative to help children and families to know the simple daily habits they should engage in in order to achieve and maintain health. If you are over 40, this percentage represents your chances of having a heart attack in the next 10 years. The risk is a research-based calculation that takes into account a person’s age, gender, race, cholesterol levels, blood pressure, and tobacco use. Some of these factors, such as age, gender, and race cannot be changed. However, the other risk factors are what we call modifiable, or have the potential to be improved through lifestyle modifications. Blood pressure, cholesterol, and tobacco use are all influenced by your behaviors. Diet and exercise are key components to improving blood pressure and cholesterol. If you smoke, finding a program that can help you quit will greatly reduce your heart attack risk. The A1C test is a blood test that provides information about a person’s average levels of blood glucose, also called blood sugar, over the past 3 months. It is used to help diagnose type 2 diabetes and prediabetes. Higher A1C results also indicate higher risk for heart disease, kidney disease and stroke. Diet and exercise are key components in helping improve your A1C. If you would like to start your own simple exercise program, click here for options. If you would like to start changing your eating habits, check out these resources. BMI is a person's weight in kilograms divided by the square of height in meters. BMI does not measure body fat directly, but can be a good indicator to identify whether an adult is at a healthy weight. BMIs in the overweight and obese ranges have been linked to increased risk for potentially life-threatening health conditions such as type 2 diabetes, high blood pressure, heart disease, stroke and some cancers. Blood pressure is the force of blood pushing against the walls of the arteries as the heart pumps. Having high blood pressure, also known as hypertension puts stress on the heart and overtime can weaken and damage your blood vessels. You cannot feel blood pressure, so oftentimes high levels go unnoticed unless you are regularly monitoring it. An optimal resting blood pressure is under 120/80. The higher these numbers get, the more at risk you are for having a heart attack. Family history, age, a sedentary lifestyle, and a poor diet are all risk factors for developing high blood pressure4. Although age and family history cannot be changed, the rest can! Diet and exercise can play a huge role in bringing your blood pressure to normal ranges. Cholesterol is a waxy, fat-like substance that if made by the body and found in all cells of the body. Some cholesterol is good to make hormones, vitamins D, and substances to help you digest foods. The body makes the cholesterol it needs. We have good and bad cholesterol in our body. Good cholesterol or HDL helps you remove un-needed cholesterol from your body. Bad cholesterol or LDL causes a buildup of plaque in your arteries. A poor diet and a sedentary lifestyle can lead to plaque building up in your arteries, increasing your risk for a heart attack or stroke. The good news? These things can be changed! Participating in a regular exercise program and changing your nutrition can greatly improve your cholesterol numbers and take you on a path to better health and lower risk for heart attack. Tobacco use includes any sort of cigarettes, chewing tobacco, smokeless tobacco, electronic cigarettes, cigars, and any substance containing the drug nicotine. The use of tobacco harms every organ in the body and causes many diseases. If you are currently using tobacco you are putting yourself at risk for: Heart Disease, Cancer, COPD (Chronic Obstructive Pulmonary Disease), autoimmune diseases, vison impairment, and bone density. If you would like more information on the risks or how to quit click here. If you would like more resources, click here. We are here to help ARUP employees and their dependents to achieve what they are wanting in regards to their health and well being. Contact us by phone: (801) 583-2787 ext. 2824 or by email: wellness@aruplab.com. Natalie has worked at the ARUP wellness center since October 2015. 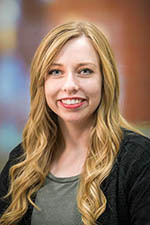 She received her degree in exercise and wellness from Brigham Young University and is currently pursuing her master’s degree in health promotion and kinesiology at the University of Utah. She is a Precision Nutrition Level 1 certified professional, certified Intrinsic Coach, and a National Academy of Sports Medicine group exercise instructor. She has worked as a corporate wellness coach and health promotion specialist. Her desire to help people understand the importance of choices and commitment for a healthier lifestyle drives her ambitions. In her personal life, Natalie loves to travel, spend time outdoors, watch and play sports, cook, and read. Shelby has worked as a member of ARUP’s wellness team since March 2017. She studied at Brigham Young University, where she received a bachelor’s degree in exercise and wellness and a master’s degree in exercise science with a health promotion emphasis. She is a certified Intrinsic Coach, a Precision Nutrition Level 1 certified professional, a certified personal trainer through the National Academy of Sports Medicine, and a certified Zumba instructor. In her spare time, Shelby enjoys baking, trying new recipes, hiking and spending time outside, and traveling. Shelby is a firm believer that living a healthy life is possible for everyone by taking small, incremental steps to improve each day. She is passionate about coaching individuals to discover their personal vision of health and wellness in all aspects of life because a healthy life will be a happy one. Curtis has been a member of ARUP’s wellness team since November 2017. He received a bachelor’s degree in exercise physiology from Saint Francis University and a master’s degree in health, physical activity, and chronic disease from the University of Pittsburgh. Curtis is a Precision Nutrition Level 1 certified professional with experience and knowledge in corporate wellness, college-level strength and conditioning, wellness coaching, and nutrition. He is also an American Lung Association Freedom from Smoking facilitator. A few of his hobbies outside of work include fly fishing, camping, cooking, climbing, hiking, and mountain biking. Kelly has been with ARUP since 2017. She earned her BS in dietetics from Utah State University. She has interned at multiple hospital and clinics throughout Utah. Kelly has taught cooking classes, promoted exercise, and educated patients on nutrition for chronic disease. She is passionate about health, nutrition, and cooking. She is registered in the state of Utah and with Academy of Nutrition and Dietetics as a dietician. When Kelly isn't focused on food and health, she loves to read recipe blogs, visit new eateries, and try cooking new recipes. If she isn't thinking, studying, or eating food, she can be found hiking the trails of Utah, reading a book, or swimming in lakes and rivers. Whether you are looking for a health and fitness goal to shoot for like the Dr Kjeldsberg Award or you are simply looking for a way to infuse a little bit more movement into your work week the solution can be found with the wellness center (click the images below for more information). This month’s Wellness Champion is Brianne Young! Brianne has been an IT Analyst in the Revenue Management Strategic Pricing Department for two years. Some of Brianne’s personal interests include rock climbing, video games, watching her favorite TV shows, and animals. She and her husband have three cats and a little dog that she loves chasing around! What healthy lifestyle behavior change(s) was made? What inspired the applicant to make this/these changes? What steps did the applicant take to change? What barriers did the applicant encounter and how were they overcome? What helped keep the application motivated through the change process? How have the changes improved the applicant’s life (physically, socially, emotionally, etc.)? What is the applicant doing now to maintain the healthy behavior? Include any measurable outcomes between the starting and ending point (e.g. blood pressure/A1c dropped from x to y, weight dropped by x pounds, fruit and vegetable intake increased from x to y servings per day/week, exercise/activity increased from x to y minutes per week, etc. ).